Chrome-tanned and black through-dyed with three seams on the backhand. Adjustable strap with metal snap fastener. Lining out of 100% pure new wool. Extremely rare. Horse leather gloves. 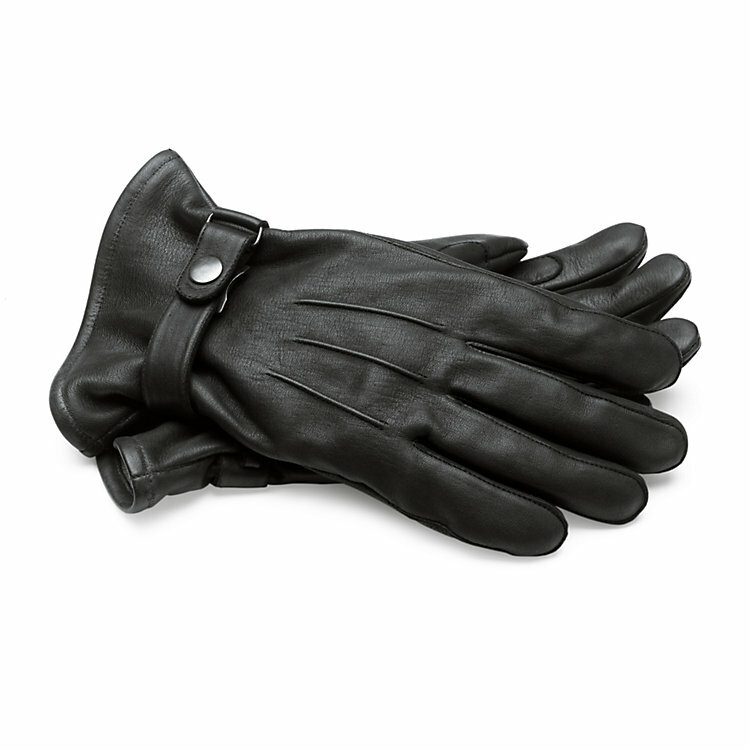 Eska, the producers of these extraordinary gloves, tell us that horse leather is not commonly used for gloves due to its rarity and high cost. The leather is not the only special feature of these gloves: the gloves have reinforcement patches sewn onto the inside of the most used parts of the glove, namely the palm of the hand and the index finger. This makes them not only very convenient, but also extremely durable. Gloves to be handed down from generation to generation. Eska Leather Gloves Manufacturer. Makers of Fine Gloves for Four Generations. The Bohemian spa town of Carlsbad in 1912 saw the opening of a family business called Eska & Dutka. Today, Wels in Austria is home to the company, now named Eska and family-run in the fourth generation. Eska manufactures not only first class, robust leather goods for professional and protective use but also fine leather gloves equipped for ordinary purposes and everyday wear – in an extraordinary quality. In a refined artisanal manufacturing process, the leather for each glove is precisely cut and skilfully hand sewn to make a best-fit pair of quality gloves.